All parties who have authority to make a decision, and those who will be impacted by any decision, must be present at the mediation. All relevant documents are important to help me understand the case, and, with the party’s permission, may be shared with the other side. The parties may bring any witnesses, their attorney, and evidence that they would like to use. Witnesses are only present to provide information, and there is no need for a witness to “testify” to prove a case. A witness can share their perspective and information and provide support. I always welcome attorneys at mediation. Attorneys are a good source of information and sometimes clients want the added benefit of an attorney’s approval of a settlement. 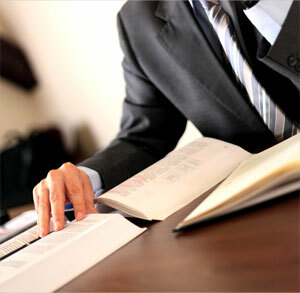 Payment for services is given in advance, usually about two or three days before the mediation. The standard fee for a two-party standard real estate dispute is $1,500. If the case is unusually complex or involves more than two parties, or if the Mediation continues beyond that time or into another day, additional fees may apply. The atmosphere is business casual. The Mediation will take place in a conference room, not a courtroom, and there are no formal rules of evidence. The Mediation will begin promptly at the time scheduled. There will be no continuances unless agreed to by the parties 24 hours in advance. Any party may stop the Mediation at any time during the session. Breaks will be taken as needed. If necessary we can break for lunch or coffee. All cell phones and pagers should be turned off, but if necessary, a party can be available by telephone conference call. The session is confidential to anyone outside of the Mediation. Anything said to the Mediator during the private session can be discussed with the other party in the pursuit of a resolution, unless the Mediator is specifically directed not to disclose the information. It is the intention of the Mediator to disclose information in such a manner as to facilitate a resolution. The enclosed Confidentiality Agreement provides more detailed information regarding confidentiality. Only the parties can settle the dispute. The Mediator does not make a decision or ruling. The Mediator is a neutral third party who brings the parties to their own result. The Mediator does not have authority to force either party into an agreement. Any resolution is voluntary. However, once the parties come to an agreement, they will be asked to put it in writing. That written agreement by the parties is enforceable in a court of law.